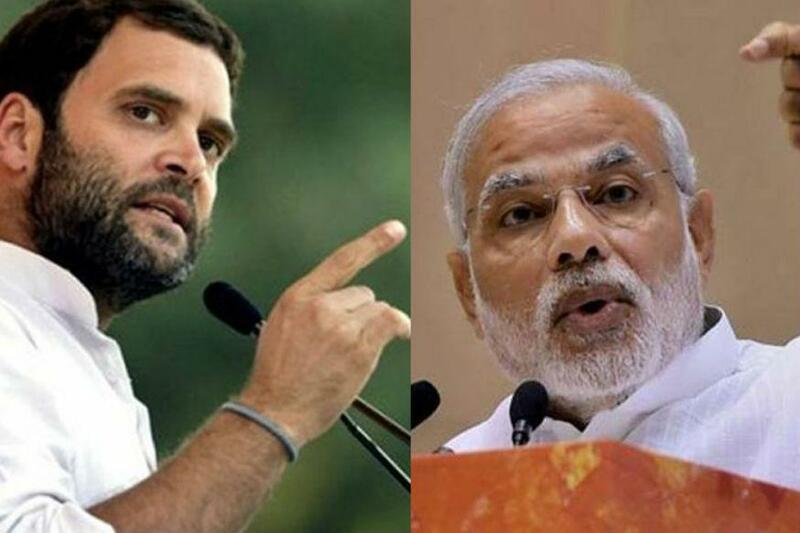 Ahmedabad, Nov 30: Prime Minister Narendra Modi on Wednesday lashed out at Congress Vice President Rahul Gandhi's description of GST as 'Gabbar Singh Tax', saying those who have looted the country could only invoke the name of dacoits. "We listen to the people and our government is open to suggestions and is flexible. After you said, we reduced GST on ceramics by 10 per cent," Modi said. He also told the people of Gujarat to take advantage of him being at the central government's helm of affairs and that they should elect a government that the government of the country is being governed by. The Prime Minister while in Morbi, the ceramic hub of the country, also attacked former Prime Minister Indira Gandhi, while talking of the tragedy of August 11, 1979, when the Machhu-2 dam broke and flooded Morbi, killing scores. "During the tragedy in 1979, I reached here on August 13 and stayed here for a month. The RSS and Sangh were on the streets, helping remove corpses and spreading the fragrance of humanity," he said, adding that the then Prime Minister Indira Gandhi held a handkerchief to her nose while visiting Morbi due to the stench of decaying corpses all around. While in Somnath district's Prachi, Modi hit out at Rahul Gandhi, who is on a two-day visit to the state to campaign for the Congress. Modi said that Rahul Gandhi's great-grandfather Jawaharlal Nehru wrote to then President Rajendra Prasad advising him not to attend the function organized by Sardar Patel to celebrate reconstruction of the Somnath temple. He said, "You had a problem against Sardar for rebuilding Somnath and the Narmada project. This is the land of the brave. The land of Somnath will not forget or forgive." Modi, who addressed three rallies in Saurashtra region on Monday, was back in his home state on Wednesday to address three more rallies at Morbi, Prachi in Somnath district and Palitana in Bhavnagar district, before moving to South Gujarat for a rally in Navsari. Appealing to the people of Gujarat, he said: "This is the first time that you have an opportunity that I am sitting in Delhi. Gujaratis never do a deal that would make a loss. Grab this opportunity and don't let it slip away," he urged. Traditionally Morbi, in Saurashtra is a BJP stronghold, but it has in recent times emerged as the epicentre for agitation by Patels and by the people against the ruling establishment over GST. Modi said the BJP has changed the scenario in Gujarat by laying huge pipelines and bringing Narmada waters. He also said that as Chief Minister he fought against the might of the Central government to bring Narmada waters. "I had to undertake a fast on the issue of Narmada. I shook the entire government at the Centre in three days of fasting and only after court intervention could begin work," he said.